I can hold my own 80% of the time, but I'm almost always down on health and burn through my Candycorn like it's nothing. My warriors are levels 21, 20, and 17, so they can use just about any weapon. I know there's likely a better build out there than what I'm using, but what is it? When I get off work I'll show you a couple I use that are fairly accessible. One is a focus on strength and the other focuses on int damage I use to farm deadly monsters with ease and they do well in most other battlegrounds with little tweaking. Always looking to duel and test builds. Happy to share any experience I have to make the warrior career more appealing! Thanks! I've got plenty going at the owls, so this one I plan on using to tackle Deadlier Monsters. Ok so this one focuses on increasing Intelligence and finishing fights fast. One crucial piece of this that is not visible is a weapon crystal: Light that helps keep you from needing to use candycorn between fights. You can do without it but you can burn through candycorn pretty fast. The robes are quality robes but can be replaced with a set of wizards robes to the same effect. The Eel could be replaced with your frost staff for similar effect as well. The fire form amulet is nice for the int boost but not exactly super attainable. 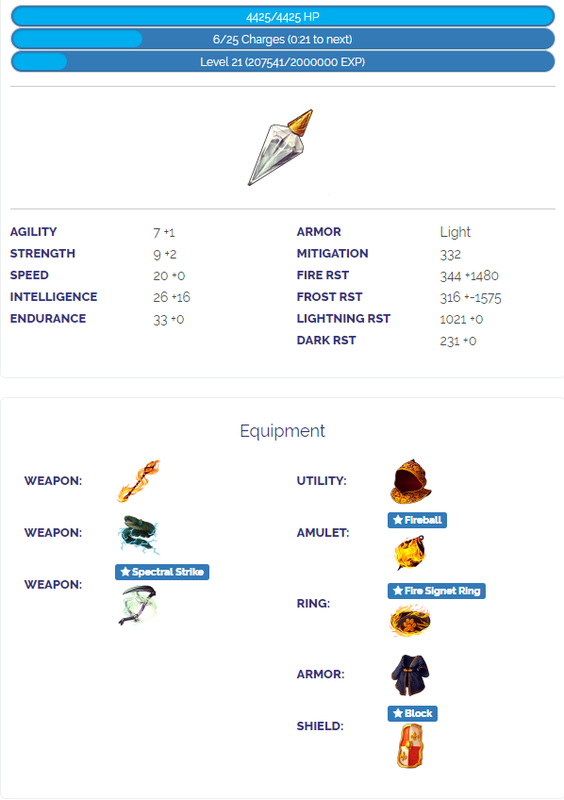 So you could replace that with a destruction amulet or frost volley if you choose to go with a fire staff instead. My best advice for constructing builds is to focus on either elemental or physical damage. That means you should try to have either high intelligence (elemental) or high agility and strength (physical). Elemental damage includes fire, frost, lightning, and dark damage. High intelligence will also generally make healing items more effective. Each point of intelligence translates to +10% elemental damage. Most of my warriors use an elemental damage based build with one, maybe two types of elemental damage, and the rest of the items are there to increase my stats. 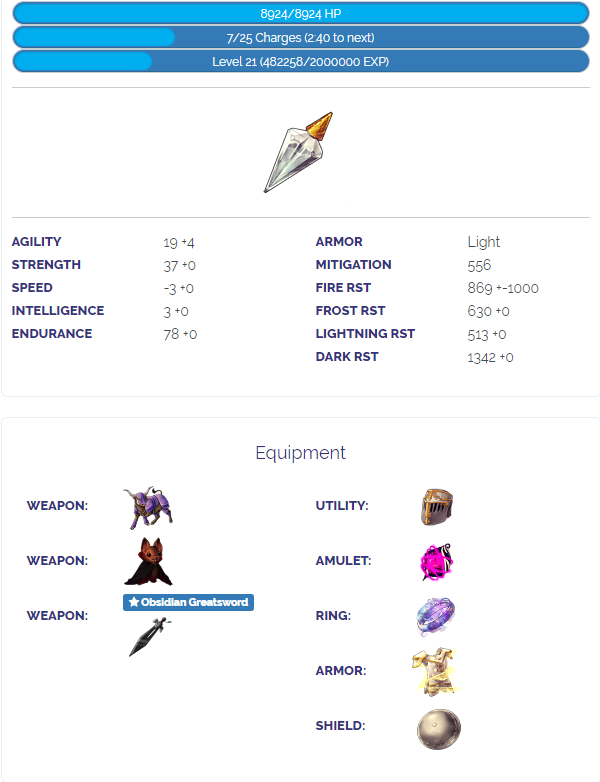 Here's an example of such a build.﻿ A good substitute/upgrade for the shiv is the spectral scythe, especially if you have a spectral crystal equipped to it. An upgrade for the armor would be Wizard Robes (the scholarly robes I have equipped are very high potency, and I like the speed over the elemental resistances, but it's an either/or type of situation). I pretty much never block (just hidden freeze + opal ring) since the shiv is powerful enough to 1-3 shot the enemies in the battlefields I'm fighting, so just throw anything there! if you have a spell book, that's really nice for elemental builds, but the shiv is incompatible with those, as it is a skill, and the spell books will silence you. Getting good at piecing together builds really depends on your understanding of the stats and a familiarity with equipment. This spreadsheet is a huge help. Physical damage also includes earth damage. Each point of strength adds +10% physical damage. Each point of agility adds +5% physical damage and +1% base dodge rate. If an ability has physical damage listed when you hover over it, it can be dodged! Since I am using the earth spell book, I cannot use skills. Most weapons with physical damage are skills, so I use battle buddies instead. I recommend you check the spreadsheet above if you are not familiar with them, as what they do is really vague otherwise. Because you cannot start a battle without any equipment that does not list damage when hovered over, I had to equip the obsidian ring. I can't use it because of the spell book, and it's pretty much only there as a stat stick. My agility is low, so I equipped an elaborate plate helm. The plate helm reduces your dodge rate, but since without it, my dodge is only 1/20, I don't mind reducing my dodge. If you have an agility-based build, do not use the elaborate plate helm! both builds I've shared are the builds I use for the frost ring and the owl conclave! if you have a specific arena you want a build for, let me know! keep the book since the +4 int is very nice. I tried to keep my recommendations relatively low budget. I think this build should work in most battlefields. Anything with a * is optional as the build will work without; those are just relatively obtainable upgrades to what you have. light mace is best for physical builds; you have an elemental build. the spectral scythe does more damage than the frost staff, but it depends on your enemy's resistances. the light trinket pairs nicely with a naturalize amulet if you're going for a tanky-healing build which this is not. deadly poison is only sort of worth it if you can cast poison mist on the opponent. spectral scythe can give the opponent poison mist, but I find a high potency scythe with a spectral crystal does more damage than deadly poison anyways. frost volley is a very cheap way to diversity your damage; hidden freeze is very good, too. the abyssal ring is very good for healing, though I like using it as a stat stick for endurance; however, since your villager already has zombie (+30 end), you don't really need that much endurance. most serpent scalemail is pretty useless. if you have a spell book, that'd be even better, but the book you have is already pretty good. I'm not sure which set you are referring to but yes you can. The main damaging weapon in the strength build can be replaced with any high damage physical weapon you have. A tiger blade or silver scythe work well. And you don't have to have a light crystal for it to work it just would require you to heal between battles more often. And which amulet you choose would depend on what weapon you have. Does anyone have suggestions for armor for this build? try getting a naturalise amulet to pair with the light trinket (trinket first, then naturalise) & replacing the robes w/ wizard robes. alternatively, replace the trinket with a grand hood, and try using hidden freeze (functions as a parry, almost). i assume you cast feather barrier before folly? if not, definitely do that. boost the potency on your scythe with hot cocoa fairies or spookleberry gummies, and make sure you have a spectral crystal when you use it. 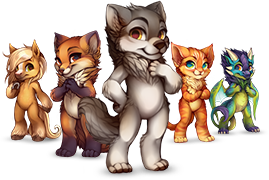 btw if you buy the naturalise amulet from my stall, I'll send you your FC back after the 5% tax. i was gonna send you it through transfers, but I can't take anything out my stall or storage atm due to a very very full inventory. If I can't get them, I'll try with the Hood! cocoa fairies will only let you go up to 130%, so 30 is the max. you need to go through item upgrades﻿ to get a socket on the scythe. if you don't want to do that, then a spectral crystal equipped to a different piece of equipment will work (having a spectral crystal will prevent you from doing self-damage with poison mist from the scythe), but I've been pushing putting it on the scythe for the extra dark damage and convenience when putting together builds in the future. Appreciate it! Good luck with the harbringer.